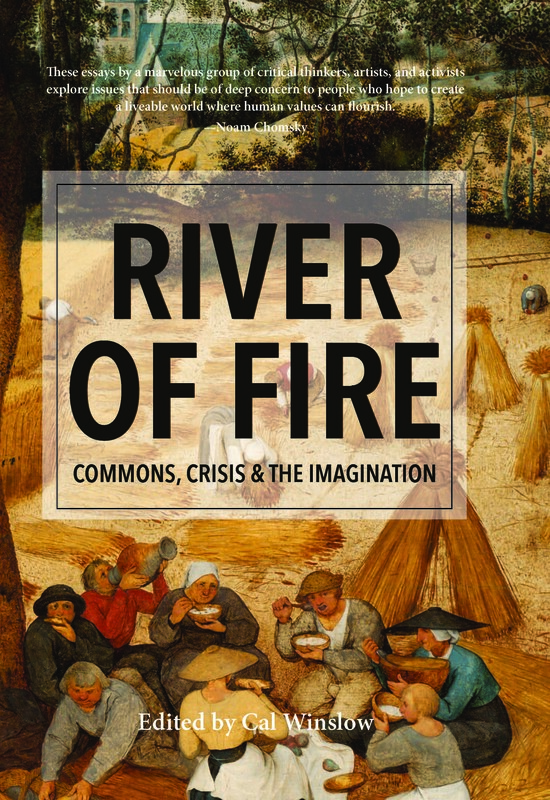 Artists and activists and scholars, poets, teachers and artisans–all opponents of capital and empire–reflect on art and history, on education, health and work and welfare, on the city, on nature and the country–in the context of what we call the commons. The term commons here is greatly expanded so as to include not just natural resources such as land, forests, water, and air, but also other forms of common property, including intellectual, cultural, genetic, now all subject to enclosure. The commons, of course, is much contested terrain, the scene of great damage done, (and being done) by the present order of things, to ourselves and our planet, but also of inevitable resistance to the barbarities of modern life as well as to alternatives. Imagine? Can we imagine a better world? There is no roadmap offered here, certainly no line; rather commitments to commons in the here and now, as well as to a future where enclosure and privatization give way to sharing and art and work and life become inseparable, much in the spirit of the artist socialist, William Morris from whom we take our title, River of Fire. Vijay Prashad, Who Do We Bomb? Dean and Juliet Flower MacCannell, University, Inc.